Amity Collins was introduced to the river while on a backpacking trip in Grand Canyon. She and some friends hiked down to the Colorado river and watched dories run Crystal Rapid and she never looked back. Amity began at Canyoneers working in the commissary and after that has done almost every job available at Canyoneers from orientations and crewing to piloting the C craft and trip leading. Her 10 years of experience working on the river for Canyoneers has honed her skills as a pilot, trip leader, historian, geologist and hiker. Ten years ago, yoga also became a big part of Amity’s life. Teaching yoga in Grand Canyon is one of her great passions. Her great love for Grand Canyon shines through in her dueling worlds, ones of adventure and one of the calming beauty of yoga. 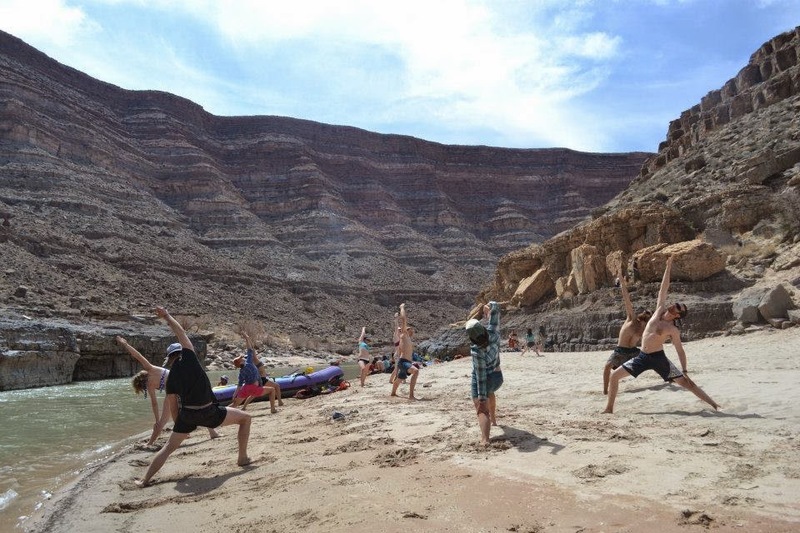 Join Amity for a Yoga focused, motorized trip in Grand Canyon on July 26, 2015. Enjoy the adventure and excitement of the Colorado River and its rapids as well as the the peace and serenity of a daily yoga and meditation practice. Balance your day with a daily morning yoga practice followed by an afternoon full of adventurous white water and calming evening meditations. Whenever the opportunity arises we will also do short hikes to beautiful vistas to practice yoga. While every session is open to all levels, daily yoga participation is not required and the extra free time could be spent enjoying the beauty and solitude of Grand Canyon. The majesty of the canyon integrated with yoga will make for an unforgettable experience in this premier adventure wonderland.